Hans Balk 9 Generations My Balk files, as updated 7/9/2016, represent one of the largest families in my database, and the full Hans Balk file is too large for this free website, so its broken up into smaller families. Please use the contact form on the Home page if you'd like a copy of the larger file (which is over 400 pages even without footnotes) and represents 13 generations. My friend, Lorraine (Bodensteiner) Kuennen, who introduced me to and supported me in pursuing the joys of genealogy, died May 25, 2012. The families of St. Lucas and I miss her. 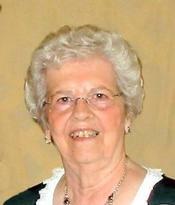 Lorraine Kuennen, age 82, of Decorah, IA, died on Friday, May 25, 2012, at St. Mary’s Hospital in Rochester, MN. Lorraine is survived by her husband: Kenneth Kuennen, Decorah, IA. One daughter: Kathleen (Kathy) Kuennen, Decorah, IA. One son: Paul Kuennen, Urbandale, IA. One brother: Linus Bodensteiner, Decorah, IA. 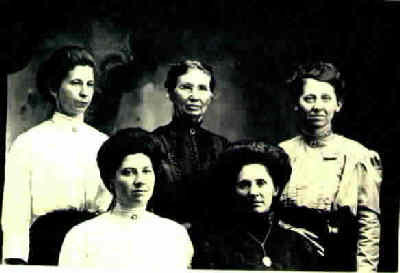 Four sisters: Corrine Deeny, Waterville, MN; Alice Einck, Rochester, MN; Evelyn (Lawrence) Elsbernd, Calmar, IA; and Marion (Dennis) Heying, Hawkeye, IA. Three sisters-in-law: Ruth Bodensteiner, Waverly, IA, and Irene Roethler, WI, and Cathy (Robert) Balik, Kalamazoo, MI. One brother-in-law: Gene (Marvelene) Smith, Fort Atkinson, IA, along with several nieces, nephews and great nieces and nephews. Lorraine was preceded in death by her infant son: Jimmy on July 13, 1965. Her parents: Ben Bodensteiner in 1978 and Rose (Rausch) Bodensteiner in 1980. One sister: Elizabeth (Ben) Schaufenbuel in 1954. Two brothers: Arnold Bodensteiner in 2009 and Dennis Bodensteiner in 1958. Her father and mother-in-law: Albert & Minnie Kuennen. Two sisters-in-law: Rita Bodensteiner in 2010 and Arlene Smith in 1998. Three brothers-in-law: Donald Deeny, Louis Einck, and Marv Kuennen in 1997. Photo is of Elizabeth Bouillon, b. 1819 in France, d. 1902 in Fort Atkinson, m. Jacques Untereiner 1846 in France.